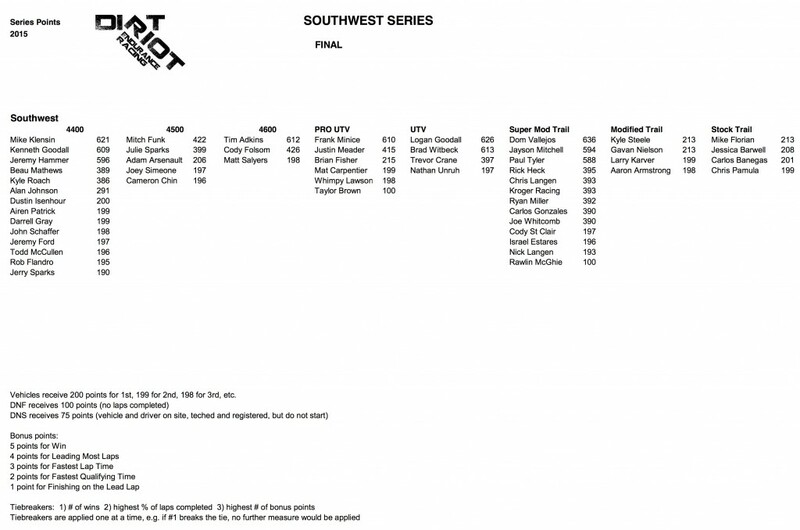 At the end of the three races, with all points tallied, the Southwest Series saw the following teams at the top for the year: Amanda Products Mike Klensin topped the 4400 Pro class, followed by Goodall Racing Kenneth Goodall and Fly-N-Hi Racing Jeremy Hammer in third. Mitch Funk won the 4500 class, and Tim Adkins won the 4600 class. 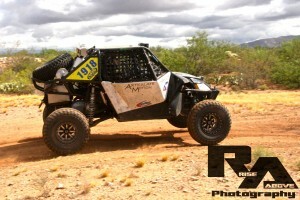 The Pro UTV class was won by Frank Minice, with Logan Goodall winning the Sportsman UTV class. 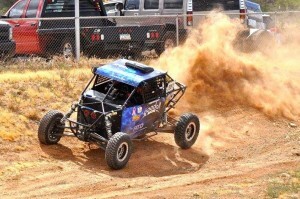 Dom Vallejos was the winner of the SuperMod Trail class with Jayson Mitchell and Paul Tyler following. The 2016 Dirt Riot season is gearing up and about ready to kickoff in Congress, Arizona again. See the full schedule of upcoming events: www.werocklive.com/events.